Local church members and the Carpenters for Christmas and other volunteers at a service held on Christmas Day in the roofless church structure. It was the first interracial service in the area. 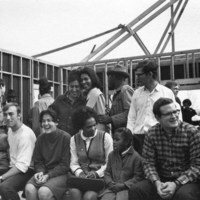 By the time the students and other volunteers left, the roof was on. 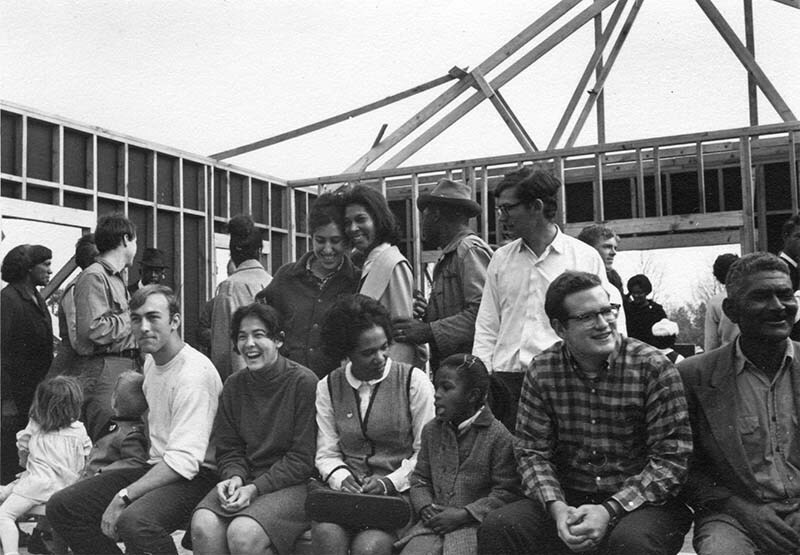 unknown photographer, “Christmas service in the roofless structure,” The Oberlin Sanctuary Project, accessed April 24, 2019, http://sanctuary.oberlincollegelibrary.org/items/show/98.